FotoIN’s patented field photo documentation and reporting system is easy, actionable and open, and it enables Restoration, Construction and Engineering companies with fleets of field workers to save 75% of their time on capturing, organizing and managing photos and field reports. With FotoIN, big enterprises increase productivity and efficiency in the field while at the same time ensure compliance with photo documentation standards, reduce re-work and dispute costs and protect the business in case of potential litigation. 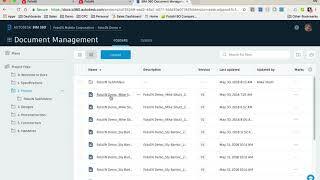 To use FotoIN with Autodesk® BIM 360® Docs, the user needs to have an Enterprise FotoIN account and the FotoIN integration added on the BIM 360 Docs side. To request an upgrade to Enterprise please contact FotoIN support at support@fotoin.com.